Prepare for Ivy! Schenker Notebooks, the German gaming laptop builder, releases its new gamer onto the market just in time for the launch of Intel's latest HM77 chipset. Everything is set to go for Intel's new processors, but Sandy Bridge CPUs are installed in the devices - for now. Schenker XMG P502 PRO. Sounds familiar somehow, doesn't it? 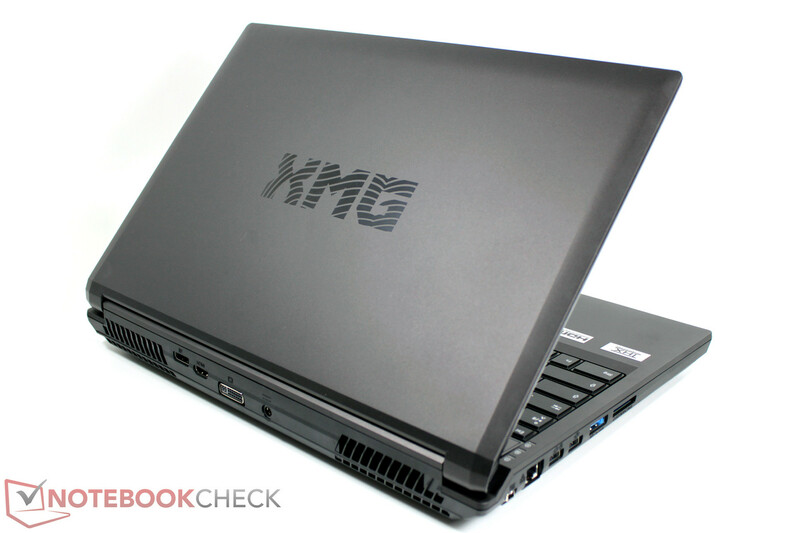 Right, we had the direct precursor of the latest 15 inch gaming machine in review, the XMG P501, nearly a year ago. Back then, the laptop was one of the most powerful notebooks of its time as it featured an Intel 2720QM CPU and Geforce GTX 560M. Since then things have changed in both the CPU sector as well as among the graphics cards. So, reason enough for Clevo, builder of the notebook's barebone, to refresh the case a bit and also to make sure that it is compatible with the latest hardware. What do we expect from the most recent version of the Schenker XMG P502 PRO? Not much has changed in terms of looks. The first things we discover are a slightly modified connectivity, an illuminated keyboard in a conventional design (adieu chiclet?) and a new non-glare FHD screen. Inside: An Nvidia Geforce GTX 675M, one of the currently strongest graphics cards available for notebooks, and Intel's Core i7-2670QM quad-core CPU. Sandy Bridge. However, it is an Intel HM77 chipset, codenamed "Panther Point". This opens the way for the new Intel Ivy Bridge processors to move into the Schenker XMG P502. It may be assumed that Schenker will offer the cutting edge processor technology immediately after its official launch. We will submit an update of this configuration with an Ivy Bridge processor shortly. By the way, the big brother, Schenker XMG P702 PRO with the same equipment, but a 17 inch screen, is in review at the same time. 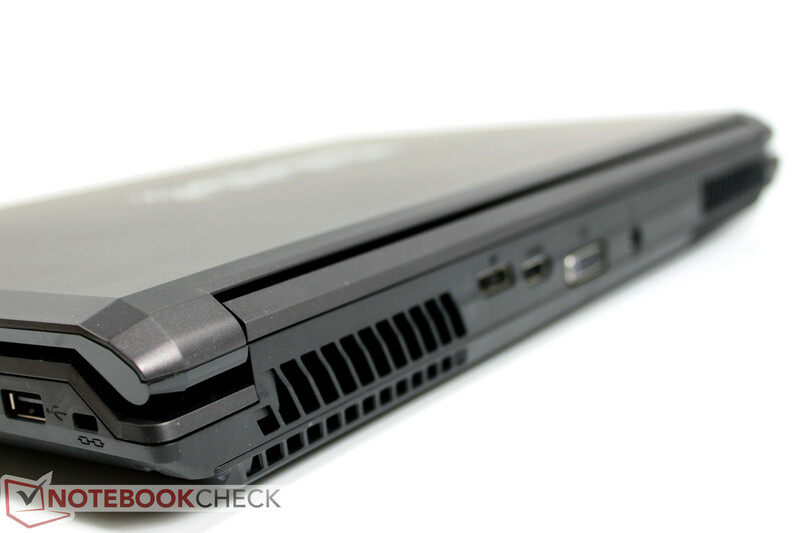 You will also find an in-depth test report about this laptop here soon. We spoke of a "timeless case" in the P501 precursor. This statement is confirmed by the fact that we are facing a next to identical case almost a year later. The appearance is characterized by consistently matte, dark gray surfaces. The logo "XMG - eXtreme Mobile Gaming" subtly adorns the display lid. We can also adopt most points of the existing review concerning the case: a plastic case with pleasantly rubber coated surfaces; merely the glossy display bezel is susceptible for grime. The notebook's stability is throughout acceptable. We don't notice any immoderate deformations under pressure, not even in the area of the number pad, which was criticized in the precursor. The display hinges have also likely been improved because they are pulled tighter and now keep the screen well in position. Weight: 3220 grams at a maximum height of very high 51 millimeters. That sounds heavy, but it can't be seen as a point of criticism in view of the available performance reserves. Important if you want to use the notebook on the go: the 180w power adapter with a weight of about one kilogram. The ports available on the device have been modified a bit. We now find LAN, 2x USB 3.0 and a USB 3.0/eSATA combo port on the left edge. The SD card reader finishes it off toward the front. Nothing has changed on the right: the audio jacks (headphone, microphone, line-in and line-out are followed by a USB 2.0 port and the opening for a Kensington lock. 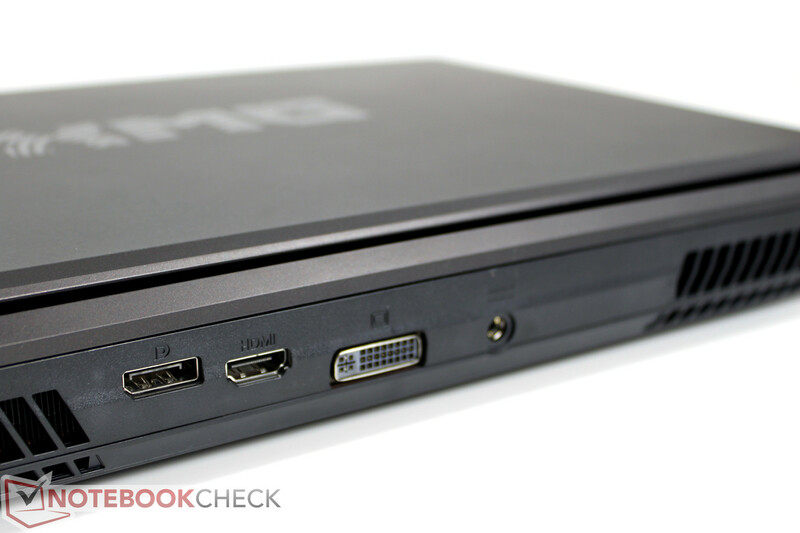 The P502 sports DVI, HDMI and display port on its rear. The power socket is also located here. Once again, our summary is positive. 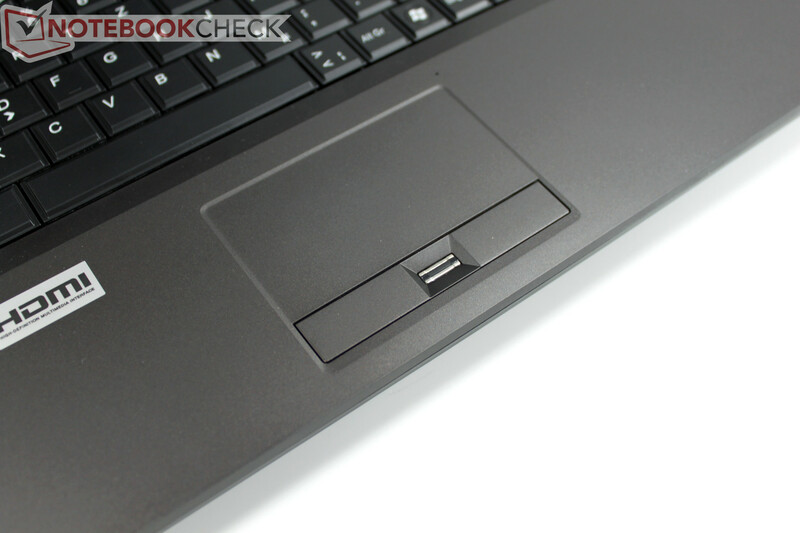 Not only does the Schenker P502 PRO include all interfaces that an up-to-date desktop replacement should feature, their positioning on the back side areas and the rear (image and video sockets) are perfect for preventing annoying cables running along the sides of the notebook. Frequently utilized ports, such as USB or card reader and audio jacks, are nevertheless placed well visible and accessible on the device's sides. Schenker offers a range of configuration variations, in particular with regards to the wifi module. The top model, a Bigfoot Killer 1103 WLAN module, is installed into our test device. In addition to a wide range of supported standards (dual band 2.4 GHz and 5 GHz, 3 stream MIMO and IEEE), the professional gamer should especially benefit from optimized, so constantly low ping rates. The user is usually always on the safe side when wired. A Realtek Gigabit Ethernet module supplies the necessary technology. Bluetooth is available as a configuration option, but not in connection with Killer wifi. 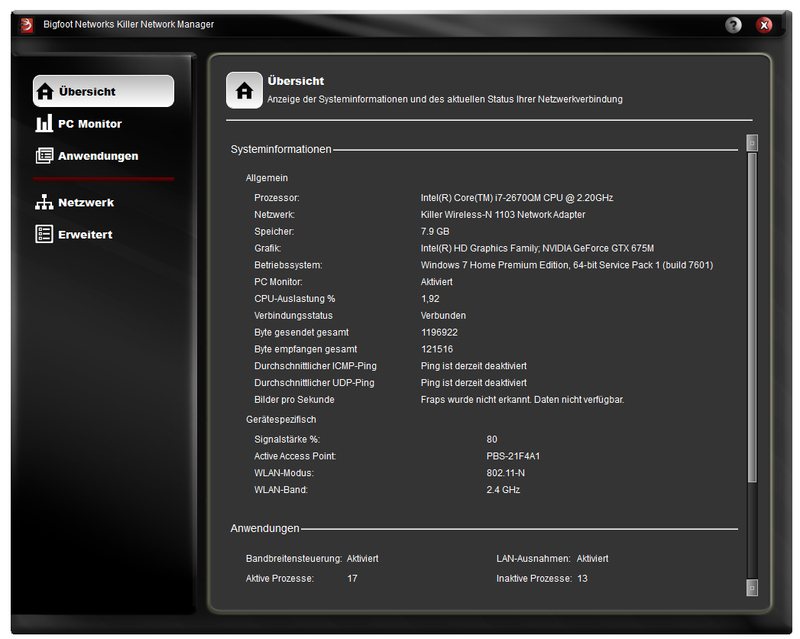 As usual, Schenker delivers a virgin and clean system, including the operating system (without also possible). 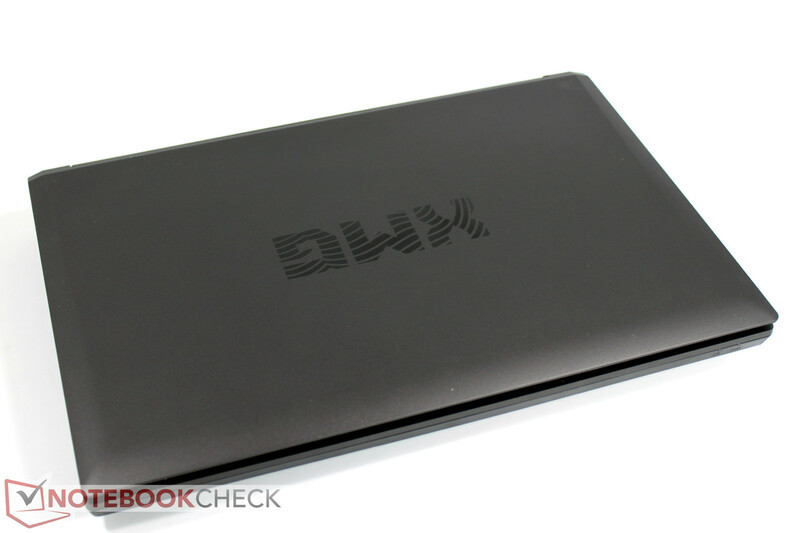 We find all essential drivers pre-installed (webcam, fingerprint, KILLER wifi, etc.) and they are up-to-date. Bloatware? Negative. The experienced user will know where he can find free Internet tools for burning DVDs and media players for playing movies. Office Starter is included free of charge when ordering an operating system; all common MS Office Suites are available for a surcharge. We find the device, including the power adapter and battery, as well as a driver DVD in the box. The OEM data carriers are also included when an operating system or additional software is ordered. A 24 month warranty including pick-up & return service (within Germany; bring-in outside Germany) in the base price. Fee-based warranty upgrades up to 48 months are possible. Now we come to one of the first essential modifications in the known XMG P501 - the keyboard. 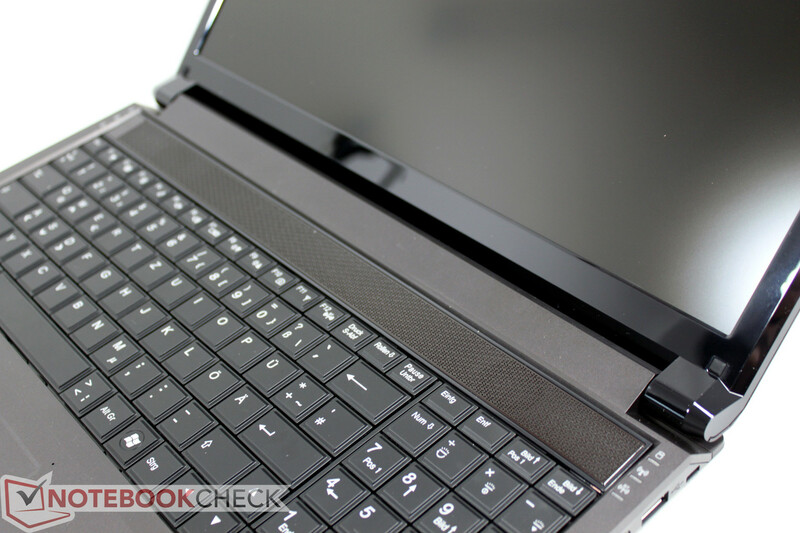 The user will have to bid farewell to the precursor's chiclet-style keyboard in the latest XMG P502 PRO. That is if a unit with built-in lighting is desired. 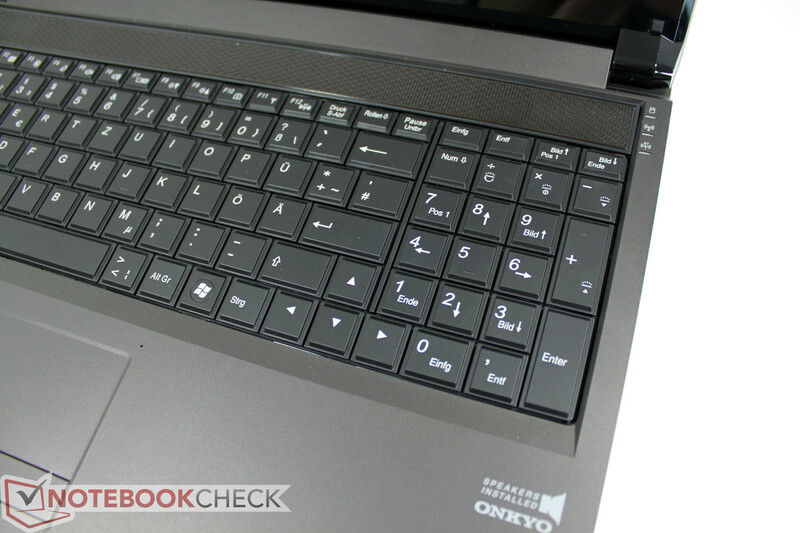 Clevo absolutely goes against the flow in this point seeing that almost all current consumer laptops use a layout with single, free-standing keys. However, the old keyboard from the prior P501 is also still available for chiclet fans - but without light. The key surface is level, without any curves. Since the stroke surface of every single key has been reduced a bit and indented inward, we didn't record an unusual number of typos during the test. With around 14 x 15 millimeters, the effective stroke surface is equal to that of the predecessor with the chiclet design. In any case, we quite like the crisp and well-palpable pressure point. Modifications have also been made in noise level compared with the precursor - positive changes. We no longer notice an unduly yielding of the keyboard unit under pressure or an annoying typing noise. Apparently, this has been successfully improved. As to the key layout, the one or other user may likely feel offended. 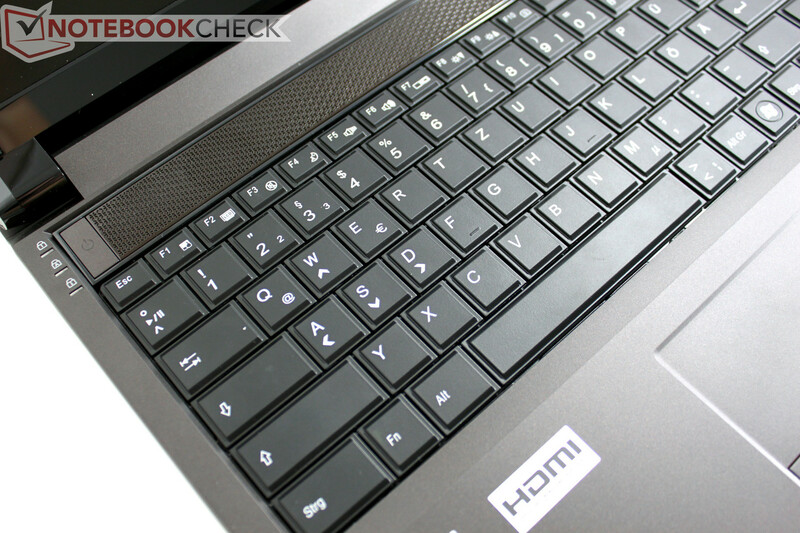 The space bar is moved to the left and the Windows key jumps to the right (not really a disadvantage for gamers). The enter key is now regrettably only single-rowed. That will probably bother prolific typist more than gaming fans, just like the tiny delete key located somewhere above the number pad. This restructuring is primarily owing to the number pad that now gets a big enter and plus key in the new layout. Stop, wasn't there something else? Right. 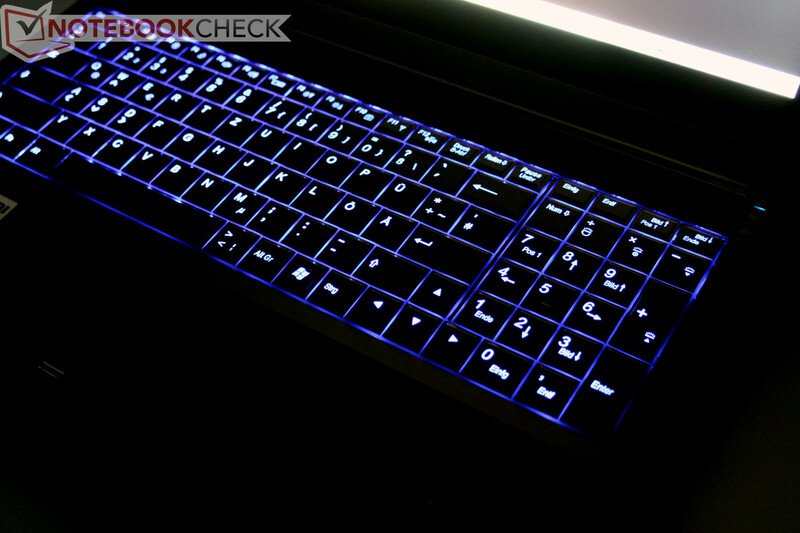 The keyboard now comes with a light and it is a stylish blue in the state of delivery. This is perfect for dark surroundings because it enables you to find the right keys reliably. Known from Alienware's first attempts, several years ago, the colors of the RGB LED illumination can be customized on the P502. 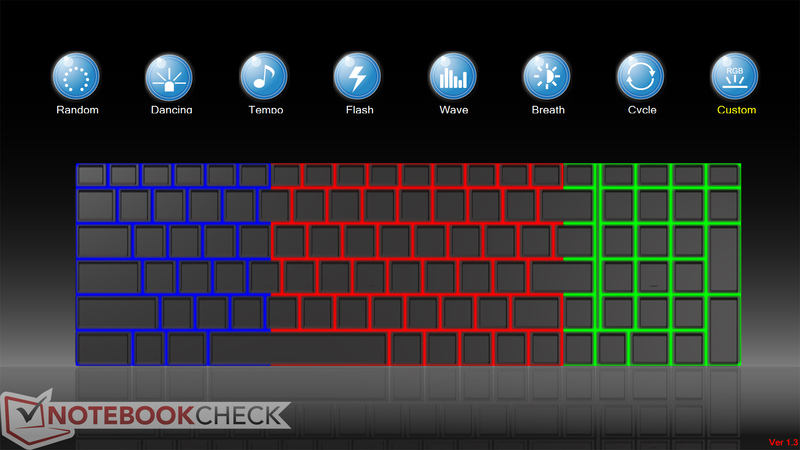 For example, it is possible to color three zones on the keyboard differently or to be "inspired" by all kinds of blinking lights on the keyboard. FN+ / (number pad) open the corresponding menu. However, it doesn't close it again, at least not in our test device. Fortunately, the task manager can put a stop to such software troublemakers. Here, nothing has really been changed, neither in terms of looks or in its utilization. It's only possible to navigate quite well with absolutely dry fingertips. The two keys are submerged quite deep in the case and can only be used comfortably to an extent by the thumb. The fingerprint scanner located between both keys doesn't exactly make things easier either. This likely won't bother gamers as much because they will connect the mouse of their choice to one of the USB ports located at either rear side. That also leads the cable perfectly behind the display's right or left side. When looking at screens currently installed into notebooks, in particular picture enthusiasts will quickly be confronted with disillusionment and, more often than not, disappointment. 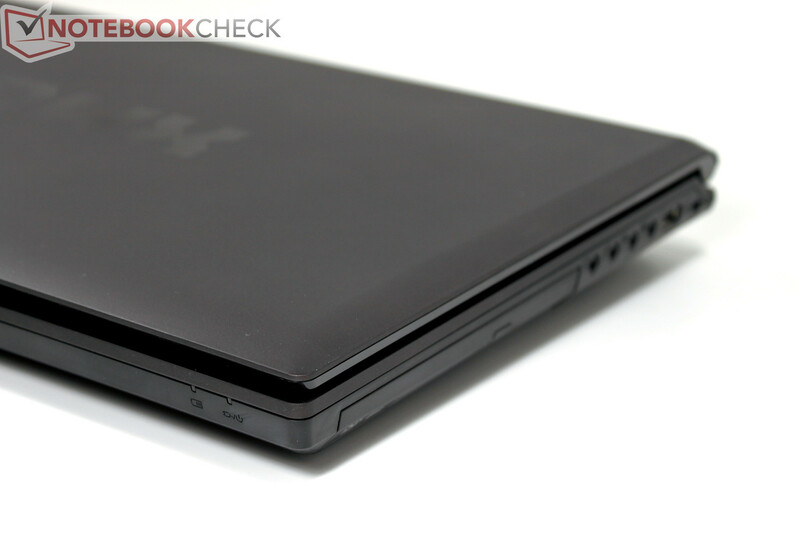 Good screens are scarce even in expensive notebooks of the upper range, frequently called "premium". 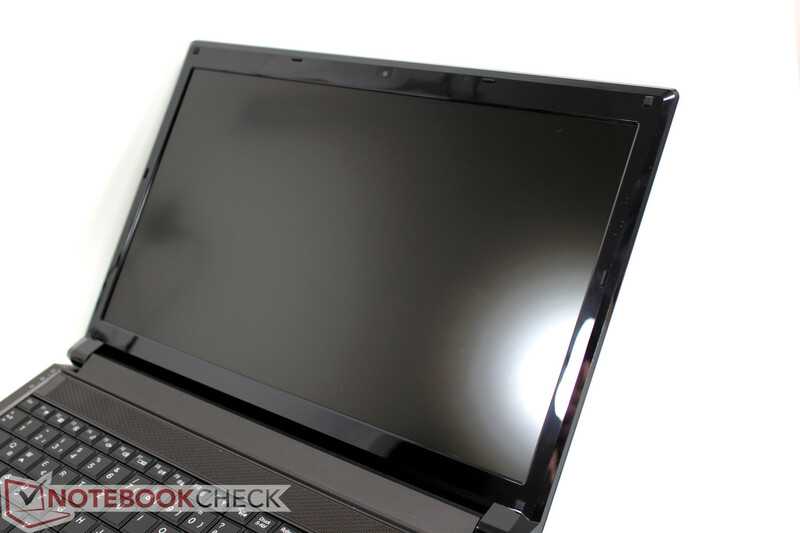 Thus, we are all the more pleased about what we find in our test sample of the Schenker XMG P502 PRO: a matte screen with a resolution of 1920 x 1080 pixels, so an aspect ratio of 16:9. But that's not everything. Our measurements confirm that the installed screen (LGD02D9) achieves a maximum brightness of very good 365 cd/m2 in its center. The average brightness also clearly remains above the 300 candela mark: 329.3 cd/m2. We measure a black value of 0.83 cd/m2. Although it could be a bit lower, it is acceptable in view of the high brightness. The screen throws a ratio of 440:1 on the scales with regards to the maximum image contrast. Although that is a bit lower than that of the precursor, which had a much darker screen (532:1), it is still over two times more than most current notebooks can offer. A look at the reproduced color spectrum shows that the XMG P502 is on a par with its predecessor: sRGB can't quite be covered and is remote from Adobe RGB. 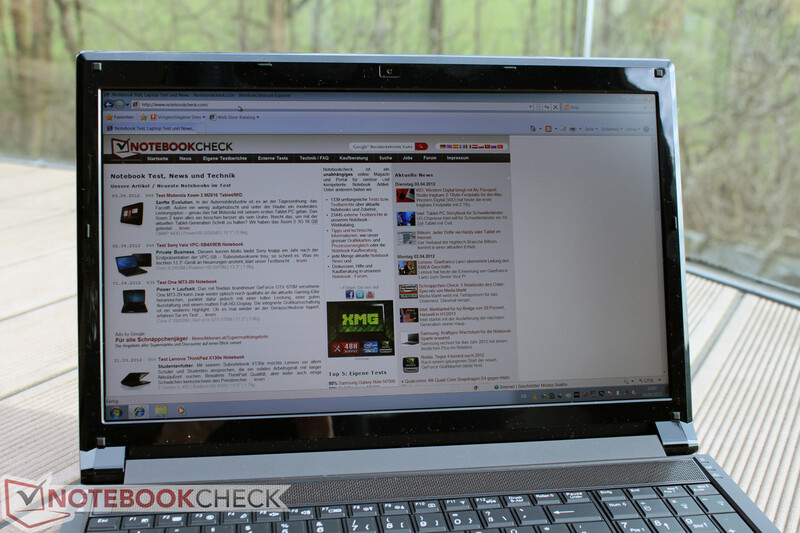 Nevertheless, the screen is superior to the majority of displays currently found in notebooks in this point. Outdoor use will likely hardly belong to one of the scenarios for a gaming notebook that has a total weight of over 3 kilograms and seemingly endless power, but it is quite imaginable. The screen even defies particularly unfavorable, bright ambient lighting conditions due to over 300 candelas (maintained on battery power). This also means that the gamer will also have the best possible legibility indoors because annoying reflections are prevented. Moreover, matte screens are less fatiguing than glare counterparts especially during long, "concentrated" working times on the display. That is also a point that shouldn't be neglected at the one or other LAN. The last point is, as so often, the screen's viewing angle stability. Here, the screen can score on both the vertical and horizontal plane. The colors of the image first start to distort at larger deviations vertically. Compared with standard screens, the LG screen does a good job here, so is a lot better. Everyone is waiting for the launch of Intel's Ivy Bridge processors - presumably not only the customers but also the manufacturers and in this case, Schenker Notebooks. Nevertheless, the Leipzig-based company goes ahead and installs the Intel chipset, HM77 "Panther Point", released today to place its new devices on the store shelves. Because the chipset is backward compatible with Sandy Bridge processors, the XMG P502 PRO can easily be equipped with the chips of the still up-to-date Sandy Bridge generation. If we believe the first leaks of information, the new Ivy quad core chips from Intel will soon be available. In view of this fact, we would advise everyone interested in the P502 to wait for its launch since a significant performance increase is expected. Also, it will presumably be released onto the market with a similar price design as its predecessor, in line with Intel's price policy of recent years. Therefore we will keep the section about performance a bit shorter as an exception. As soon as the Schenker XMG P502 is available with Intel's new Ivy Bridge quad core, we will add an update regarding CPU and the overall performance. It is the known Intel i7-2670QM processor from the Sandy Bridge generation that does its job in our XMG P502 test model. Four physical cores plus 4 additional threads (Hyper Threading) with clock rates of 2.2 up to 3.1 GHz ensure the highest level of performance in all applications. It's no surprise that the processor currently belongs to one of the most powerful CPUs available and it will still be able to compete in the top ranks of various benchmark tests even after the release of Ivy Bridge. 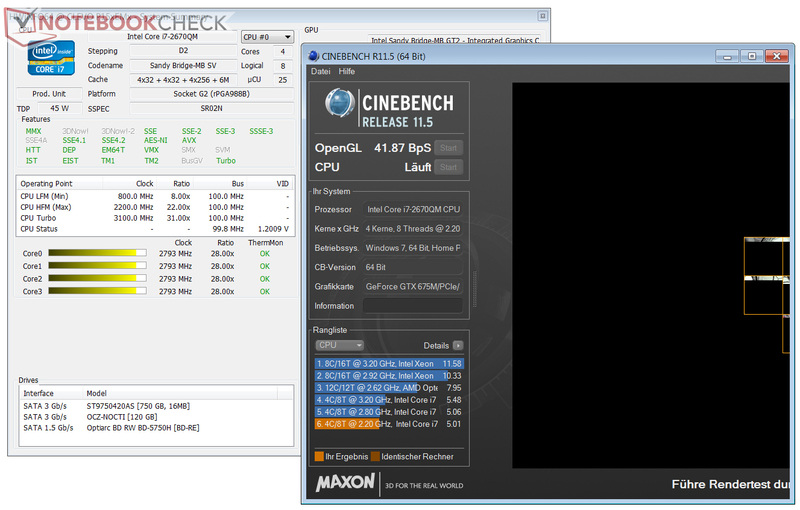 The chip consistently achieves results on the expected level in the Cinebench CPU tests. 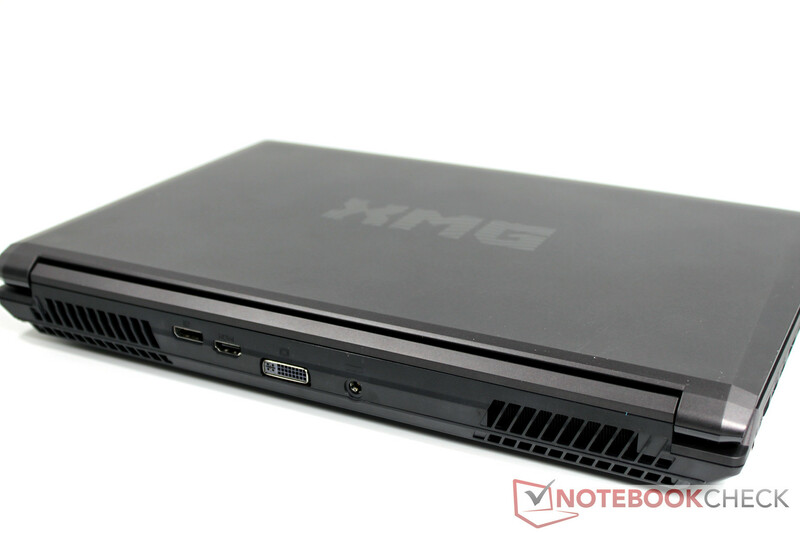 However, the XMG P502 is sooner in the lower field in view of all identically built and reviewed chips. This could be due to a slightly more effective exploitation of Turbo in other devices. 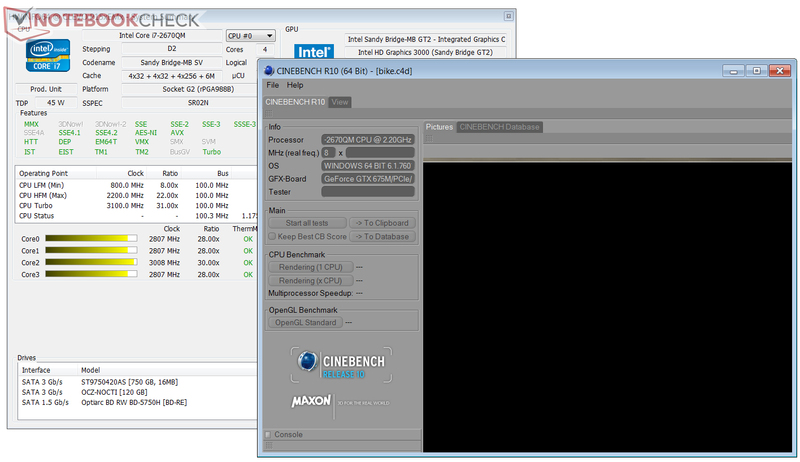 We record a maximum clock of 2.8 - 3.0 GHz in Cinebench R10's single thread test. Cinebench R11.5 stresses all available threads in the CPU test. The CPU clocks with 2.7-2.8 GHz here. PCMark Vantage and PCMark 7 enable a comparison of the overall performance in various application scenarios based on the ascertained scores. We managed proud 15675 points with the XMG P502 in the Vantage test. Despite a potent CPU and powerful Geforce GTX 675M GPU, these high regions can only be penetrated with help from a solid state drive. 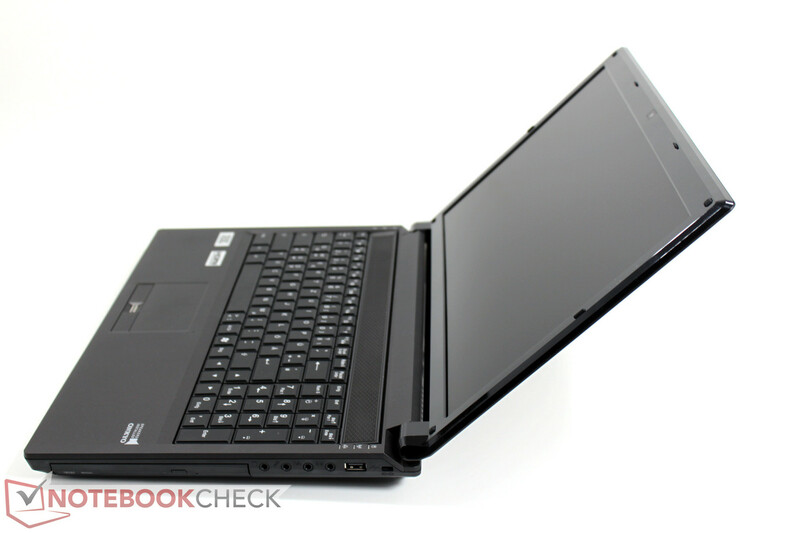 The Schenker XMG P502 PRO builds in an mSATA SSD from OCZ as the system drive in this regard. 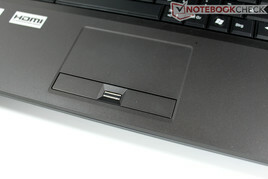 Consequently, the 2.5 inch drive bay is free for a voluminous hard disk. In the case of our test device, it is a Seagate Momentus HDD with a capacity of 750 GB. Even the newer PCMark 7 acknowledges the system SSD and rewards our test system with 4064 points. 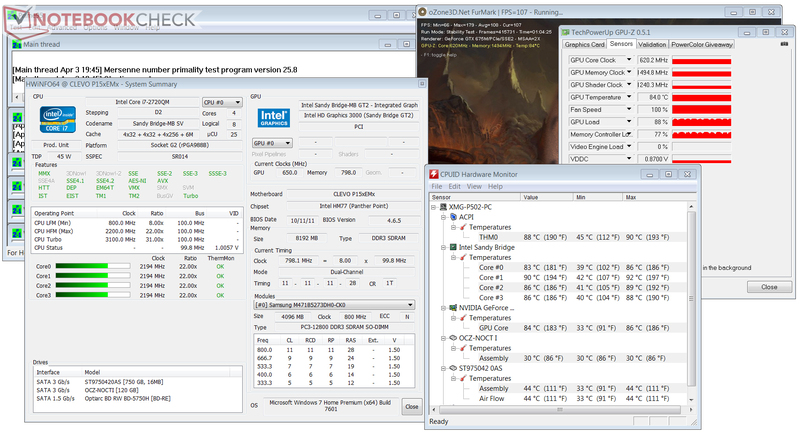 The MSI GT780DX (2670QM/GTX570M) equipped with an Intel Series 320 SSD plays in the same league for example. The option to now build an mSATA SSD into the XMG P502 opens new possibilities for the user. The combination of a smaller mSATA SSD for the system memory and a voluminous, conventional HDD for the data memory for music, videos and games seems to be an attractive solution. Our test device also features this configuration and, in detail, combines an mSATA SSD, model Nocti, from OCZ with a gross capacity of 120 GB with a Seagate Momentus ST9750420AS hard disk with a capacity of 750 GB. With a revolution speed of 7200 rpm, it also belongs to the faster of its kind. 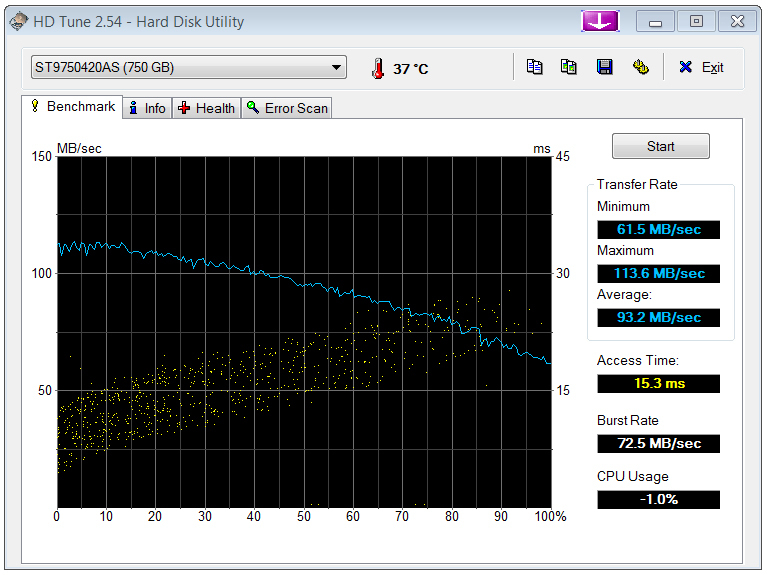 The hard disk renders a high average of 93.2 MB/s in the HDTune benchmark test. The access speed of 15.3 milliseconds is also impressive. However, these scores usually don't stand a chance against a solid state drive. 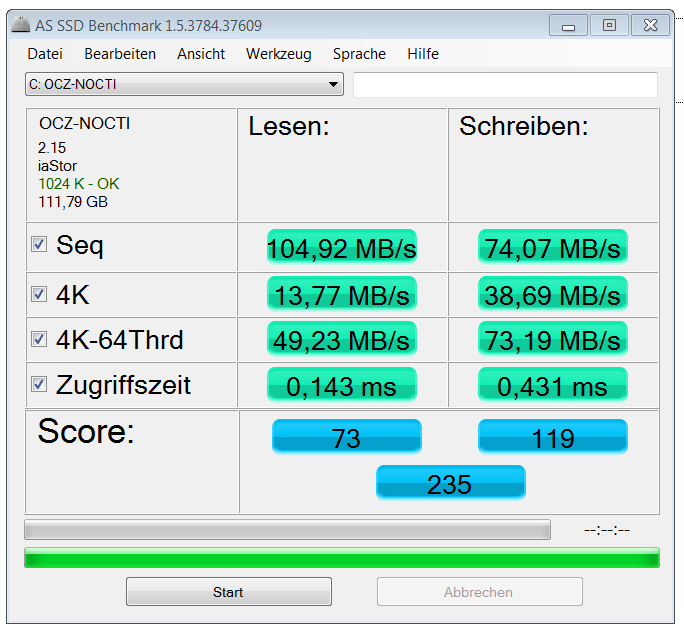 In detail, we record 104.92 MB/s, respectively 74.07 MB/s for the installed OCZ Nocti in the AS SSD sequential read, respectively write test. The memory doesn't yet have much of an advantage over its magnetic rival, but that changes in the access rate. The Nocti undercuts the Seagate counterpart many times over with 0.14 - 0.43 milliseconds. 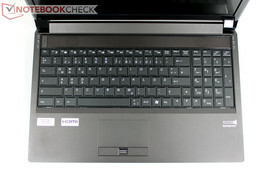 A look at the recently reviewed Acer Aspire Timeline M3 proves that there is still enough room for improvement though. 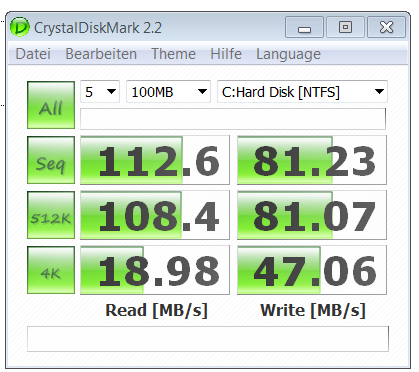 The LiteOn LMT-256M3M mSATA SSD installed in the Acer degrades the Nocti in almost all exercises (seq. read/write: 503/341 MB/s). 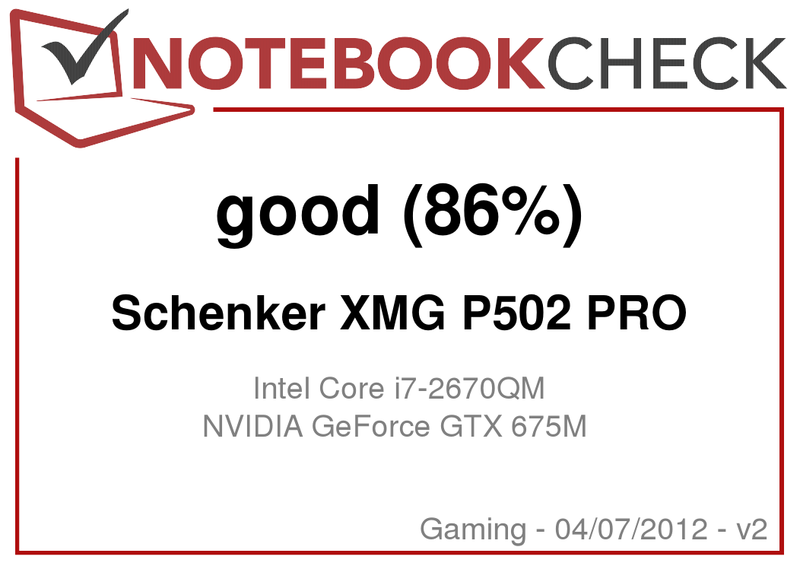 With the Geforce GTX 670M and GTX 675M, Schenker Notebooks bids the two strongest graphics chips from Nvidia's range for the XMG P502 PRO. The two graphics solutions were presented recently in the context of the Kepler launch (28 nanometers), but are still based on the 40nm Fermi architecture. To be precise, the clock rates of the GTX 570M were increased a bit in the case of the GTX 670M and the 675M is basically the known GTX 580M. The currently fastest graphics solution based on Kepler would be the GTX 660M. It may be assumed that Nvidia will also submit the top models produced in 28 nanometers later. Exact dates are however yet unknown. Specifications about the aforementioned graphics cards can be found on the linked pages concerning the graphics chips. A first glance at the benchmarks of the installed Nvidia GeForce GTX 675M confirms the GPU's former classification: With 3488 points in the latest 3DMark 11 benchmark test, the GPU is on a par with Nvidia's GTX 580M, which is for example found in the Alienware M17x R3 (3475 points, 2820QM CPU) or in the Alienware M18x (3433 points, 2920XM CPU). AMD's HD 6990M practically draws level (XMG P701 with 2760M CPU, 3529 points) and the HD 6970M lags slightly behind with 3143 points in the Samsung 700G7A (2630QM CPU). All this said, we can rightly speak of "complaining on a high level" since we are facing one of the fastest available graphics solutions for notebooks. A quick peek at the desktop community shows that a comparable level is reached with an AMD HD 6790 respectively an Nvidia GeForce GTX 560 for example. Whether you choose the available GTX 670M or the 675M will likely be a matter of your budget in most cases. Schenker specifies a surcharge of EUR 110 for the stronger graphics chip at the moment. Whether this is worth a performance increase of approximately 15% (compare One M73-2N with 2920XM CPU and GTX 670M: 2983 points in 3DMark 11), is something every gamer has to decide for himself. Thanks to Intel's high-performance quad core CPU and Nvidia's high-end graphics card, the Schenker XMG P502 knows almost no limits. Average frame rates below the 30 fps mark only occur when playing particularly power-hungry games in their maximum graphic settings. Examples for this would be the latest Battlefield 3 (26.4 fps) or even Metro 2033 respectively Alan Wake. In view of Intel's Ivy Bridge, a very marginal improvement can be expected at most in these benchmarks since the GPU is the "limiting factor" in high graphics settings as so frequently. So the plus on CPU performance will be particularly noticed in the application field. 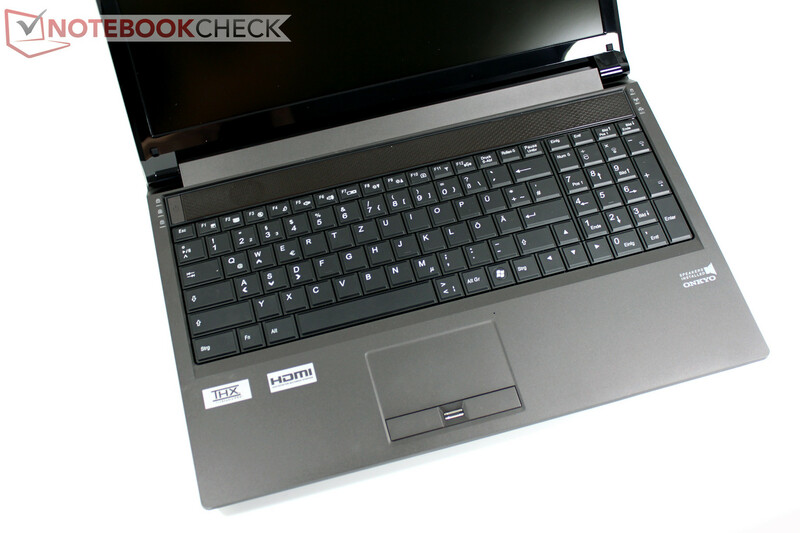 The new HD Graphics 4000 is also supposed to take a decisive performance step forward, which isn't really an advantage for gaming notebooks with a strong dedicated graphics solution anyway. The following benchmark chart originates from the identically equipped sister model, Schenker XMG P702 PRO (2670QM/GTX 675M), which we are testing alongside the XMG P502 PRO. Apart from possible marginal fluctuations, these results are also representative of the equally configured XMG P502 PRO. As usual, further information about the Nvidia GTX 675M can be found on the graphics card's detail page, respectively a comparison of all other current mobile graphics cards can be found in our benchmark chart of mobile graphics cards for up-to-date computer games. Although the bottom is covered by air vents and the case bids a good capacity for ventilation, you can't expect the XMG P502 PRO to be ultra-quiet in view of the installed core components. Two mechanical fans are built into the device; both the CPU and GPU have an own fan and heat sink. Since the notebook supports Nvidia Optimus, the GTX 675M remains disabled in less demanding Office use, such as Internet surfing. 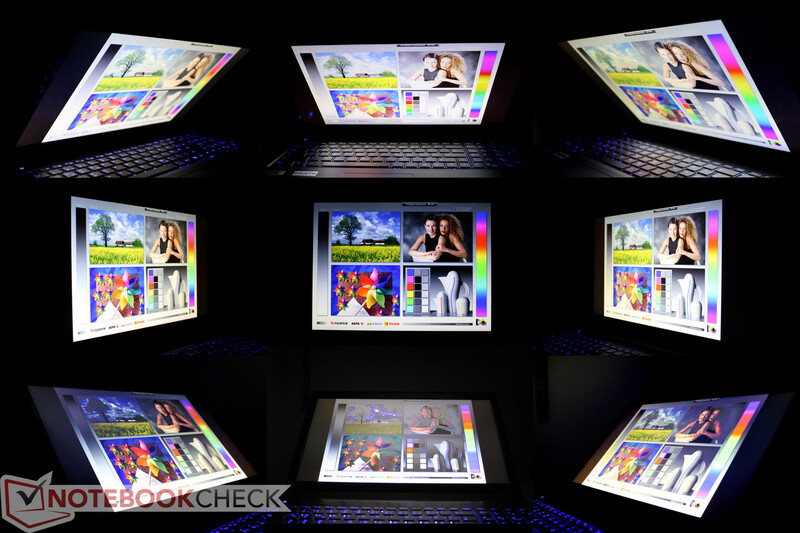 It first switches with the Intel HD Graphics 3000 in 3D applications automatically. Consequently, the GPU's fan should theoretically stay disabled without load, considering that the integrated graphics solution is located directly on the CPU unit and is thus cooled at the same time. However, we usually notice two active fans even without load during practical use. Brief, nearly silent periods are possible after a restart. We mostly record a noise level of 34.5 dB (A) during Office utilization. The notebook is always well audible subjectively here. It gets down to business as soon as the device is put under load. We mostly measure a level of 47.9 dB (A) in gaming operation which can definitely be called loud. However, depending on the game genre, it is still tolerable. We reach the measured maximum of 53.6 dB (A) in the stress test. This can be described as extremely unpleasant in the long run, but that usually won't be reached in games. All systems go - at least when the device isn't loaded. We measure a pleasant surface temperature of just under 30°C. The tide turns in the stress test and surface temperatures increase up to 50°C on both the top and the bottom surface. Since the wrist rest and the keyboard only heat up moderately, the user won't experience any restrictions. Hopefully no serious user will think about playing a multi-hour session of Battlefield 3 with the 3.2 kilogram heavy gamer on his lap. And if so, the XMG P502 PRO will discreetly point to its designated place via reddened thighs: the desk. We also look at the core components' temperatures after approximately an hour of stress testing (CPU and GPU load): Intel's i7-2670QM CPU clocks along obediently at 2.2 GHz and settles to 80-90°C. The Nvidia GeForce GTX 675M is on about the same level with up to 86°C. Overall we see high, but noncritical rates here. Beats Audio, Harman Kardon, Dynaudio, Bose, etc. - in the meantime almost every manufacturer adorns itself with the good-sounding names of known audio companies. Clevo doesn't want to be last in line and cooperates with Onkyo. Or at least its logo emblazons the wrist rest's right. Painted, mind you - not a cheap sticker. You should also remember to activate the included THX software. Only then do the integrated speakers supply a useful sound. The built-in 2.1 audio system gives a satisfactory result at medium volume for notebook conditions. External audio playback units are, as so often, to be preferred over the mini speakers for high requirements. The implementation of Nvidia's Optimus is good for the Schenker XMG P502 PRO since it reduces the minimum idling power consumption of its precursor, P501 (no Optimus), from around 26 watts to 18 watts. Nevertheless, the P502 doesn't belong to the most energy-efficient notebook models with 18-26 watts when operating without load. Current Office notebooks usually consume around 10 watts - but this comparison isn't really applicable. When we put the P502 under load, we measure an average of around 127w in 3DMark 2006. The energy-hunger even increases to 174.9 watts in the stress test. 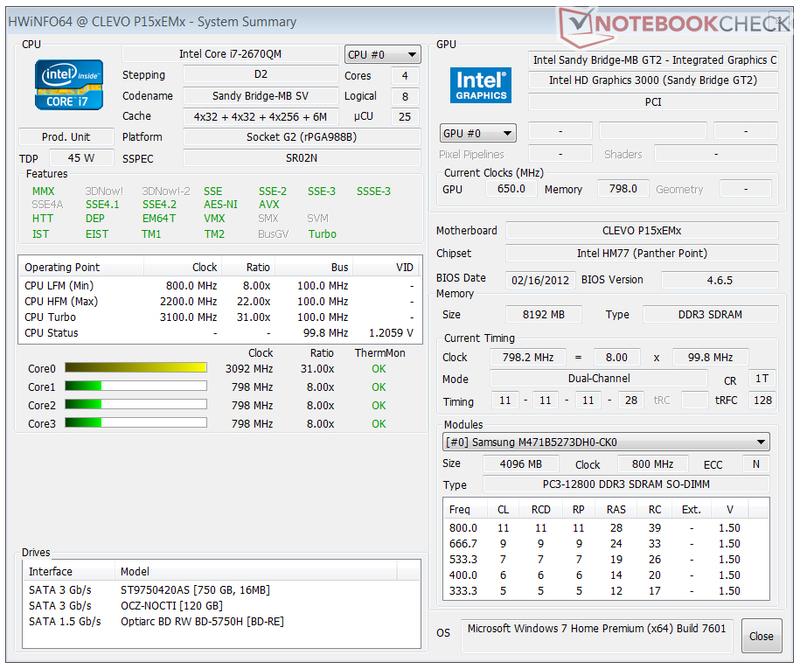 No wonder: Nvidia's GTX 675M treats itself to around 100w and Intel's i7-2670QM is also specified with a TDP of 45w. However, the maximum power consumption can surpass that considerably and thus can't really be called "green". The included 180w power adapter should always supply enough power anyway. Alike the predecessor, the new Schenker XMG P502 PRO integrates a big 77 Wh battery. That is also necessary because we can't expect the P502 to be a runtime miracle considering the previously recorded consumption rates. 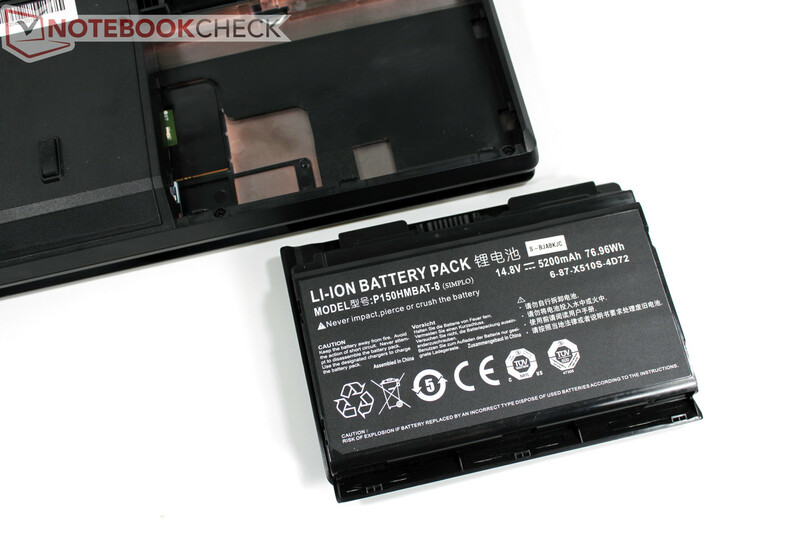 Nevertheless, we achieve 5.5 hours in the standardized BatteryEater Reader's test, representative of the maximum possible battery runtime (energy saving mode, min. screen brightness, wireless modules off). The result of the more realistic Internet surfing test (incl. HD video playback) is just as good (screen: 150 cd/m2, balanced mode, wifi on): 261 minutes, so a bit over 4 hours. In view of the installed components, this result is throughout impressive and is partly due to Nvidia's Optimus technology, which disables the dedicated GPU when it's not needed. Another beneficial factor is Intel's i7 quad core CPU that chugs along unhurriedly with 800 MHz in low Office load. But woes betide anyone who arouses the sleeping wolf: These times can't at all be reached during load (96 minutes) and then only a fraction of the performance is available compared to AC mode. 3DMark 2006 on battery power (high performance profile) only managed 3584 points - so not quite 20% of the performance available in AC mode. When we look back at the verdict of the prior P501 model, we can practically reuse the summary for the new Schenker XMG P502 PRO. 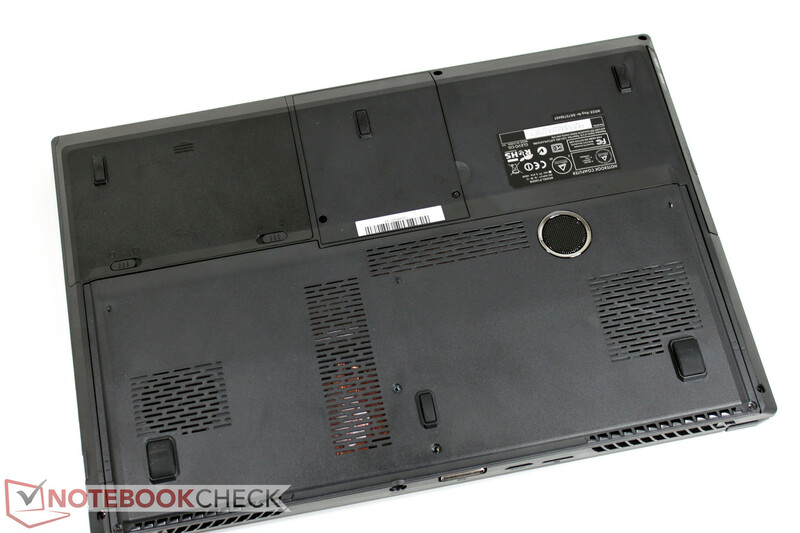 Again, we find a plain plastic case that can now however serve with an illuminated keyboard. The extensive configuration options, which allow the P502 to be customized perfectly to suit personal needs, are pleasing. Compared to the precursor, a partial improvement has been made regarding the screen. The matte version we reviewed has a resolution of 1920 x 1080 pixels and can supply a good contrast of 440:1 due to a maximum brightness of high 365 candela at a black value of 0.83 cd/m2. Consequently, you are always spared from annoying reflections and the screen's possible viewing angles are also impressive. In terms of performance reserves, the XMG P502 PRO is likely beyond all doubt. Equipped with Intel's i7 quad core processors, the Nvidia GTX 675M as the currently strongest graphics solution for notebooks and an mSATA SSD for the system partition, there isn't much room for improvement. Well almost - Ivy Bridge would be the next logical step on the ladder of performance. With the new Intel HM77 chipset, the P502 PRO is perfectly set up for that. We can probably count with the release of the new Intel CPUs within the next weeks. Thus, we would recommend waiting with the P502's configuration until then. We will provide an update when available here. But enough praise for the P502. 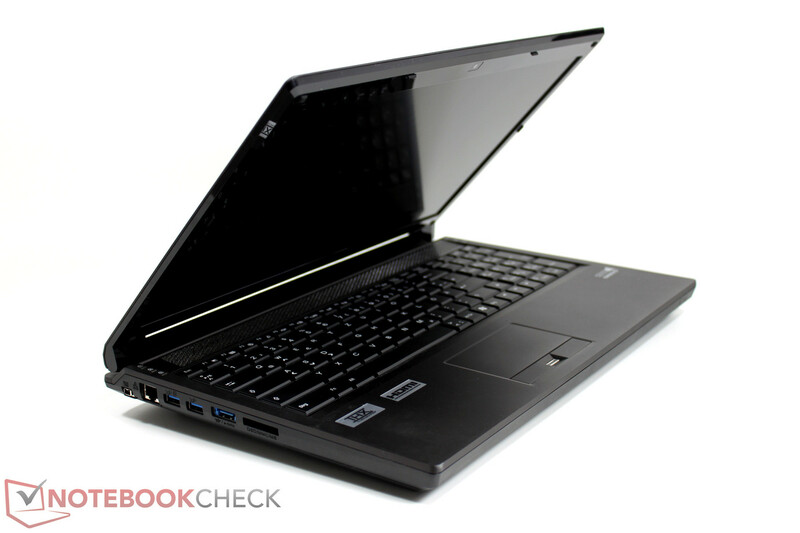 Just like almost every other device, the P502 also has its dark sides. The noise level has to be put at the top of the list. 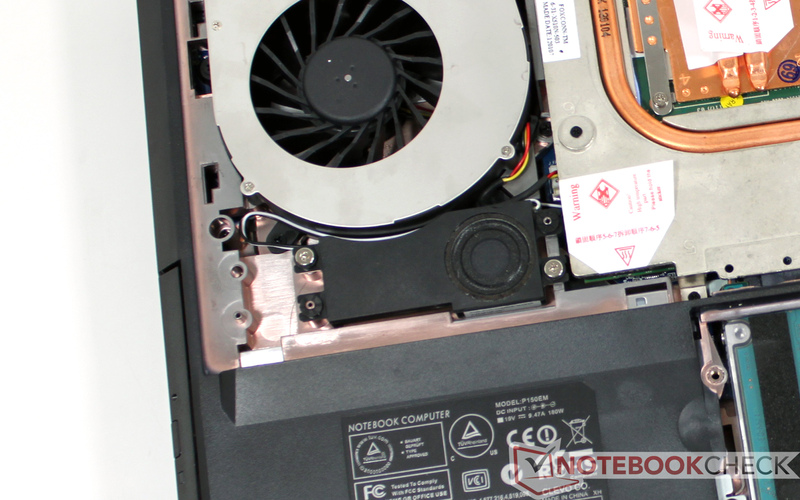 The user has to live with the P502's constantly present fan noise even when it's not loaded. This is even increases to a critical range of over 50 dB (A) during load, which is also an increase compared to the precursor. Noise sensitive natures should therefore sooner avoid the XMG P502. Apart from that, gamers get a very attractive bundle at a fair price in the form of the Schenker XMG P502 PRO. 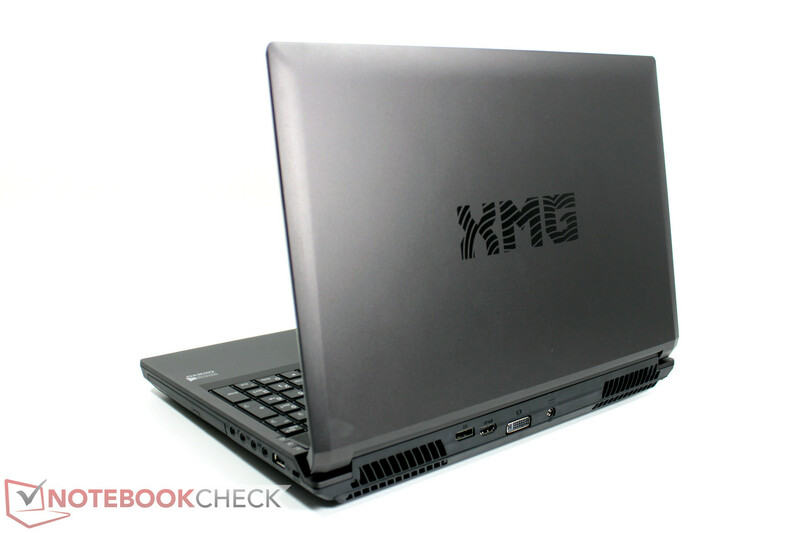 The XMG P502 PRO starts at EUR 1049 and the configuration we tested adds up to around EUR 1650 when ordered directly from Schenker Notebooks. The numerous minor improvements compared to the prior model: display port, illuminated keyboard, matte screen, mSATA support. 15 to 17 inch gamers in the upper performance range. For example, the P502's bigger brother, the XMG P702, or the 17 inch Samsung 700G7A, Toshiba X770, MSI GT780, Asus G74 and many more. 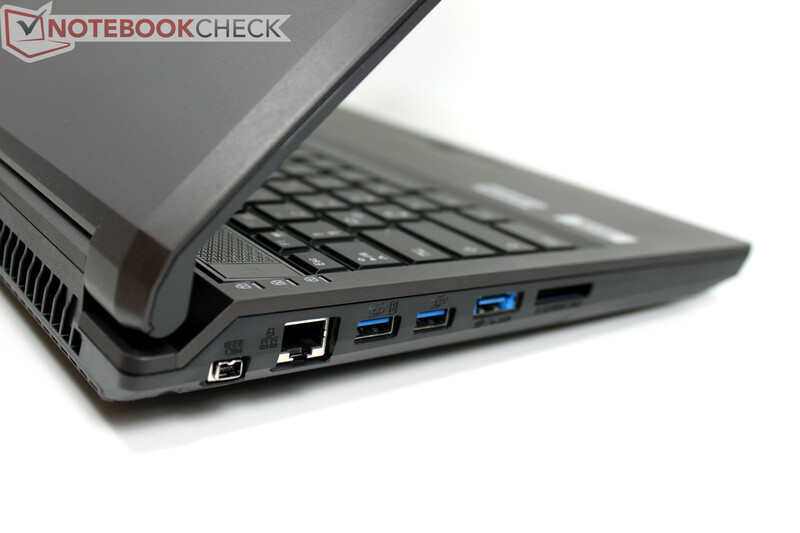 The Alienware M15x in the 15 inch category.